Home Selling – Which Room Should You Stage the Best? There is no denying that staging your house can be very beneficial especially if you have numerous competitors. When done properly, it can help you get the attention of more buyers. It can also significantly improve your home’s value. Ultimately, staging your house can translate to better offers and a quick sale. In fact, reports indicate that staged homes sell almost 90% faster than nonstaged ones. Yet, despite the benefits of house staging, some sellers are apprehensive about doing it. One reason for this is the expense associated with this endeavour. It is estimated that the cost of staging per month is around €400 to €500 per room. Admittedly, this can be heavy on the pocket especially if you have a big house, but it is an investment that offers good returns. Furthermore, you can stage your house and make it buyer-ready without breaking the bank. You just have to be strategic about it. For example, instead of hiring a professional home stager to handle everything, you can just consult one and do the actual staging yourself. Another wallet-friendly strategy is to choose key areas in the house to stage. While it is ideal to stage every room in the house, it is not a must. You can just focus on rooms which home buyers pay really close attention to. These rooms are the kitchen, master bedroom, dining room and living room. When it comes to renovating for resale, the general rule of thumb is to focus your effort on the kitchen and bathroom. These rooms offer the highest returns and drive up your home’s value. However, it is a different case for home staging. While it’s still important for the kitchen and bathroom to look amazing, it’s the living room which pays off the most when it comes to home staging. The living room is oftentimes the first area that home buyers are going to see. Hence, it is important that it is staged well for them to have a good impression of your property. 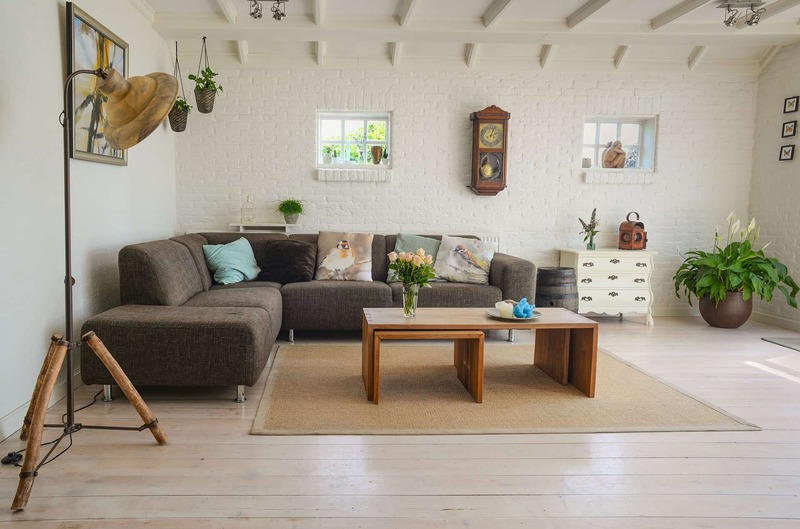 Furthermore, if a beautiful living room is what your buyers first see, then they would become more curious and interested to view the rest of the house. So, if you are selling your house, make sure that you properly stage your living room. Depersonalise the space. Remove photos and other personal items from the living room. Install an artwork or a fixture which can be the focal point of the area. Go for neutral hues. Choosing neutral colours for wall paints is a tried-and-tested design strategy, especially when it comes to home selling. According to a report, living rooms painted with light beige, pale taupe and oatmeal sell at a higher price. But do not just limit your use of neutral tones to wall paints. It is also best if your furnishings like rugs are not brightly coloured, too. In case you have couches with bold colours or patterns, make sure that you put neutral slipcovers on it. Declutter. Ensure that the room does not look cramped. Identify pieces of furniture which you can use for staging. Those that you do not need should be removed from the house. Arrange your chosen pieces of furniture in such a way that people could sit and talk. Meanwhile, if you have a large living room, create a number of different seating areas. Don’t forget the lighting and the smell in the room. Ensure that the area is well-lit. Open the curtains to let natural light come in or keep the lights or lamps on. It is also important for the room to smell good. So, make sure you display a vase of fresh flowers or light scented candles when you show your house to potential buyers. For more home selling or staging tips, talk to our trusted real estate agents. Call us at 01 495 9020 today!